This Smart Fortwo ED was produced from 2012 to 2014. It's a facelift of the 2011 Smart Fortwo ED. It's a rear-wheel drive rear-engined micro hatchback with 3 doors & 2 seats. 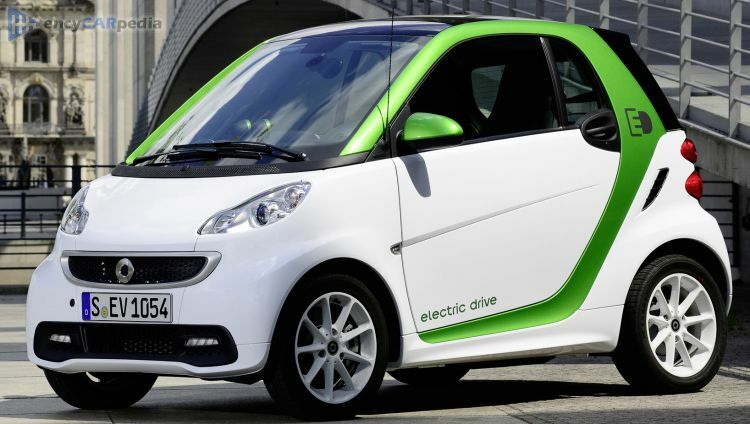 With 74 hp, the electric motor accelerates this Fortwo ED to 62 mph in 11.5 seconds and on to a maximum speed of 78 mph. Having a kerb weight of 920 kg, it achieves 19.5 kWh/100 miles (207.8 MPGe) on average and can travel 90 miles before requiring a re-charge of its 17.6kWh battery. This car also has a which acts purely as a range extender. It comes with a Direct Drive automatic gearbox. Luggage space is 220 litres, but can be expanded to 340 litres for larger loads.